Shakeology is the most delicious, nutrient-dense, superfood-packed protein shake on the planet. It’s made with the healthy stuff you should be eating every day, but typically don’t. Shakeology’s the perfect combination of proteins, phytonutrients, antioxidants, enzymes, prebiotics, and probiotics. Plus, it is also formulated with many rare ingredients, including adaptogens, camu-camu, and maca root—things we don’t usually get from an ordinary diet. So whether you use Shakeology to help support weight loss, or drink it to help support your health, this powerful and delicious shake is Your Daily Dose of Dense Nutrition. 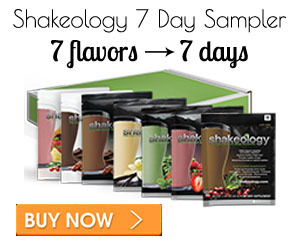 Drink a delicious Shakeology each day and choose from one of our terrific flavors, Café Latte, Vanilla, Chocolate, Strawberry, Greenberry, Tropical Strawberry Vegan, or Chocolate Vegan, to help support healthy energy, reduce cravings, lose weight, and support healthy digestion and regularity to help you transform your health. It’s super-simple, actually. Since Shakeology quickly dissolves when added to any liquid, you can easily prepare it in a shaker cup. Or if you’re craving the consistency of a smoothie, use a blender and toss in some ice. All you do is mix 1 scoop of Shakeology with 8 to 12 fl oz of water, milk, or a milk alternative (almond milk, rice milk, or coconut water), ice, and either shake or blend—then enjoy! And if your taste buds are feeling a little adventurous, check out our array of recipes under my Shakeology recipe tab. Let’s face it, the American diet is terrible. Rarely do any of us eat enough fresh fruits and vegetables; instead, we reach for what’s quick and easy—packaged food and fast food—which have been so over processed that they lose a lot of their nutritional value. The reality is, we’re running our bodies on empty. And like a car, we need fuel to go. Good fuel. Not empty-calorie junk. When you start thinking of what you put into your body as fuel, you immediately realize how important Shakeology is to help supplement your daily diet. Because Shakeology is packed with some of the world’s most potent, nutritious, and delicious ingredients, it’s one of the quickest and easiest ways to help you eat healthy, stay satisfied, and live a healthy life. Top 4 benefits of drinking Shakeology every single day! 93% of Shakeology users felt healthier since drinking it. 81% felt it helped them reduce their cravings for junk food. 97% felt Shakeology was a smart investment in their health. Superfoods are what we call the most incredibly phytonutrient-dense foods on our planet. These foods are low in calories, high in nutrients, and go beyond meeting basic nutritional needs. Instead, they have high concentrations of multiple nutrients that work together to help keep you feeling your best. * How does Shakeology compare to other shakes? While other shakes on the market contain a few of the key nutrient groups, Shakeology is the only one that provides this many in one shake! So why does your body need all this stuff? Shakeology’s proprietary blend of digestive enzymes, prebiotics, and probiotics helps your body function optimally and eliminate waste that has built up due to eating bad food. * And its food-based ingredients help fuel your body with essential vitamins, minerals, proteins, and nutrients that the average diet lacks. Here’s the bottom line: If you want to live healthy, you’ve got to eat healthy—and Shakeology is one of the easiest and most affordable ways. That’s because Shakeology is NUTRITION SIMPLIFIED. Matcha is the powdered green tea leaf that has potent phytonutrients. Along with other superfood-phytonutrients in Shakeology, matcha can help support health and vitality. The matcha we use in Shakeology comes from an USDA organic-certified supplier. Matcha has been enjoyed in Japan for centuries and it’s now featured in all flavors of Shakeology! Chaga is a woody mushroom, which along with other adapotgens in Shakeology, have been traditionally used to help the body adapt and respond to effects of stress. Our chaga is American grown from a supplier that is USDA organic certified. Our non-vegan flavors have always had sacha inchi, which is a superfood native to Peru and is also known as an Inca nut. We’re thrilled that sacha inchi is now a part of our protein blend across the full Shakeology product line, including our vegan flavors! Previously, fructose was an ingredient in the whey-based Shakeology and agave was an ingredient in Vegan Shakeology. While striving for the highest quality ingredients, our formulators discovered that replacing fructose and agave with organic cane sugar resulted in a more well-rounded sweetness. Plus, our sugar source is now organic. 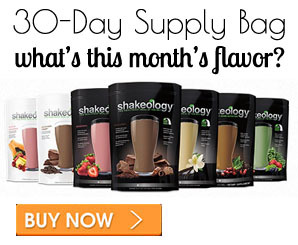 How to save Money by bundling Shakeology with Fitness.